Manhattan Beach CA | Flue Steam Inc.
Manhattan Beach CA is famous as a beautiful seaside city with skyrocketing home values. In particular, the Hill Section of Manhattan Beach CA is the second most expensive neighborhood in the entire LA area. It has an excellent school district to go along with its stunning ocean views, and the chance to rub elbows with celebrity property owners doesn’t hurt the area’s appeal either. Needless to say, restaurants in the exclusive, high-end environs of Manhattan Beach CA need to maintain a certain appearance and prestige as well as comply with relevant health and safety standards. 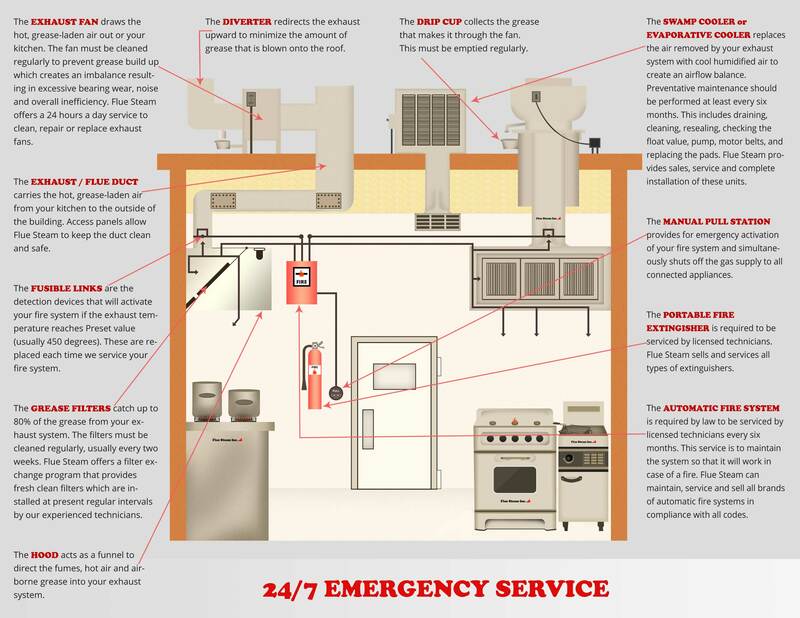 At Flue Steam, we can help you maintain the safety and good reputation of your business by providing various fire prevention and kitchen air control services. Reduce the odds of a grease fire ever closing your commercial kitchen by getting regular grease filter changes, exhaust system cleanings, and fire suppression system inspections from our expert technicians.